The Chief Minister of Jammu and Kashmir is the chief executive of the north western Indian State of Jammu and Kashmir. 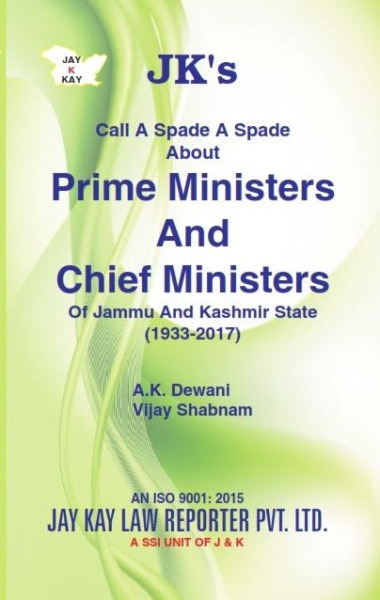 Before 30th of March 1965, when an amendment to the Constitution of Jammu and Kashmir came into effect, the office was known as Prime Minister of Jammu and Kashmir. Before this, the state selected its own Wazir-e-Azam (Prime minister) and Sadr-e-Riyasat (President). 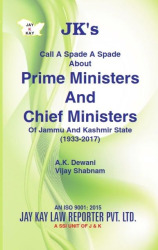 However, in 1965, the state constitution was amended, and the offices of prime minister and president were renamed as chief minister and governor respectively. These changes went into effect on 30 March 1965 when the ruling prime minister, Ghulam Moham- med Sadiq, was sworn in as the first chief minister of Jammu and Kashmir. Mehbooba Mufti Sayeed is the 9th and current Chief Minister of Jammu and Kashmir, serving since 4th of April, 2016.